SinisterSound 98-13 Road Glide Fairing Speaker System. 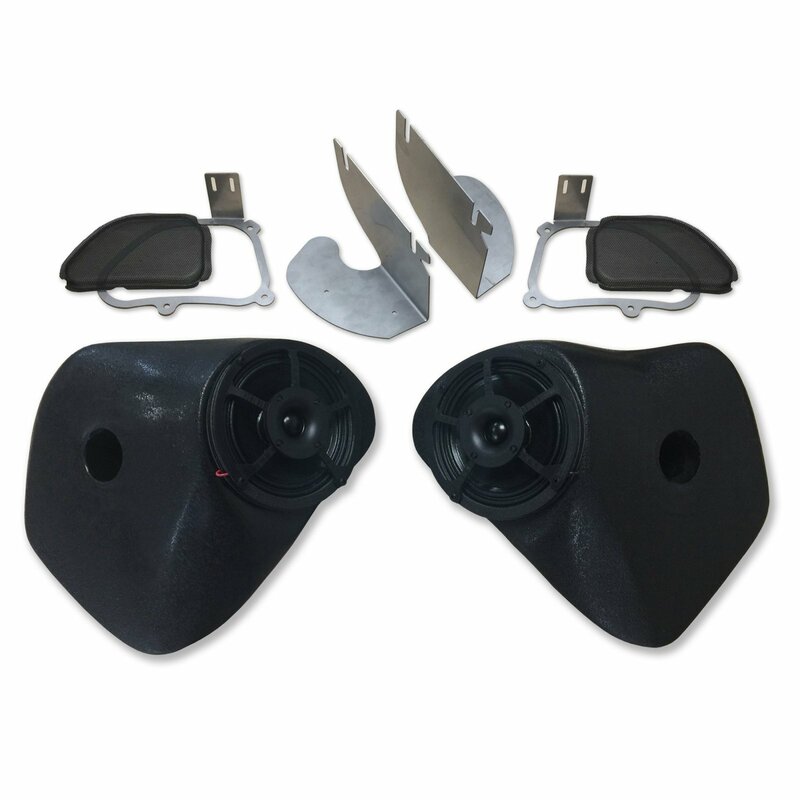 SinisterSound 98-13 Road Glide Fairing Speaker System includes 2 SinisterSound 6.5" neo woofers, 2 Sinister Sound 1" soft dome tweeters, crossovers, speaker enclosures, speaker covers and mounting brackets. This is the best you can buy. Works incredibly well as the only speaker system on your bike. .....PLEASE READ.....This kit takes up most of the space inside the fairing. You must use a radio with no CD player like the Kenwood KMR-M322BT or the KMR-M325BT. That way the amplifier will still fit in fairing in front of the radio. Largest amp size needs to stay at or under 8.25" wide. We sell the Arc Audio Moto600.4. for this bike most of the time. It fits well. The diamond 2v2 and 4v2 should fit as well. The SounDigital 800.4D EVO does not fit. If you have any questions, please call.